The much-anticipated, explosive expose of how cell phone use damages brain cells, especially in children, by one of the world’s foremost scientific experts in the field. 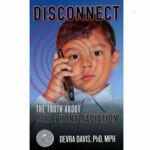 Devra Davis presents an array of recent and long suppressed research in this timely bombshell. Cell phone radiation is a national emergency. Stunningly, the most popular gadget of our age has now been shown to damage DNA, break down the brain’s defenses, and reduce sperm count while increasing memory loss, the risk of Alzheimer’s disease, and even cancer. The growing brains of children make them especially vulnerable. And half of the world’s four billion cell phone used by people under twenty. 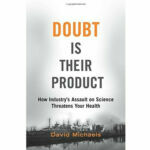 Davis, the founding director of the Toxicology and environmental studies board at the U.S. National Academy of Sciences, takes readers through the dark side of this trillion-dollar industry. Health experts have long been frozen out of policy-making decisions about cell phones; federal regulatory standards are set by the cell phone industry itself. Cell phone manufacturers have borrowed the playbook of the tobacco industry. One secret memo reveals their war plan against reports of cell phone dangers. Among a host of fascinating characters, Davis introduces Om P. Gandhi, a world expert on how cell phone radiation penetrates the human brain. Once a consultant to major cell phone companies, Gandhi now refuses to work with them. 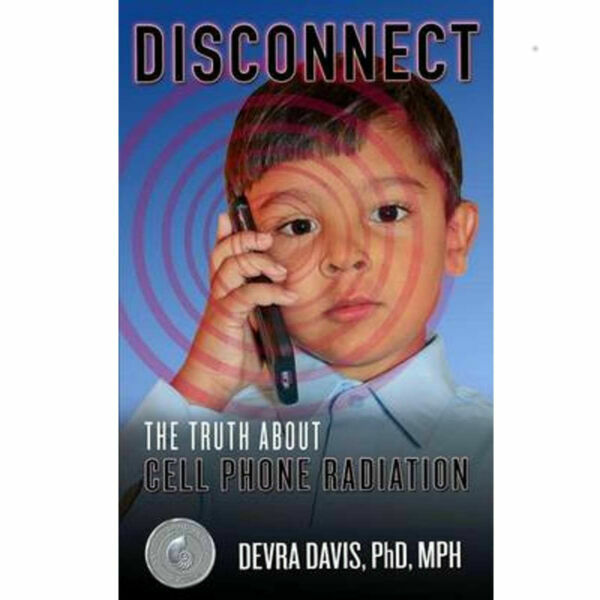 Franz Adlkofer led the multi-lab study that showed once and for all that brain cell DNA is unraveled by cell phone microwave radiation-and, as Davis dramatically portrays, it nearly cost him his career. As this eye-opening call to action shows, we can make safer cell phones now. Why would we put our children at risk of a devastating epidemic of brain illness in the years to come? For more information, visit Environmental Health Trust. Smart parents will read this book and take phones AWAY from little ones. Authorities try to discredit the author as a conspiracy theorist but she presents facts and studies that support her position. I hope people WAKE-UP to the reality of brain injury as a result of cell phones. And 5 G is coming – heaven help us. While this books goes into a lot more history than some might prefer to wade through, it is an excellent overview of the development of this technology, some of the research done (and some buried), and the possible and even probable ramifications that cell phone use holds for people. If there is a criticism, it is that the book limits itself strictly to cell phones and all other forms of EM radiation are excluded. Never-the-less, this book is terrifying in its implications for both human health and the health of all living beings. We are being blanketed with these signals and it would appear that the sheer magnitude of what we are exposed to has never been researched or truly safe limits set. There simply has to be more public dialogue about this subject and this book is a good starting point.